I immediately fell in love with the Frantic Stamper Piano Keys Edger die #FRA-DIE-10293. It has so much fun potential. 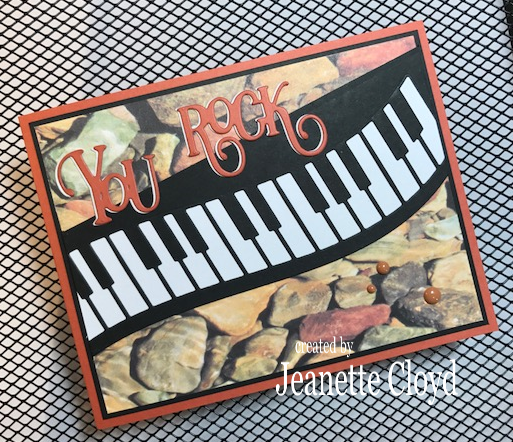 And I knew that I wanted to go with a "rock" theme, using some fun pebble/rock designer paper and pairing that awesome keyboard with the words "You Rock" from the Frantic Stamper Dance Rock Sing die set #FRA-DIE-10355. I double-layered the words to give them some depth and definition. A subtle touch that makes a big difference. I would like to share with you 2 cards with Russian motifs. When I was creating them I wanted both to be elegant so I choose a white-gold combination. 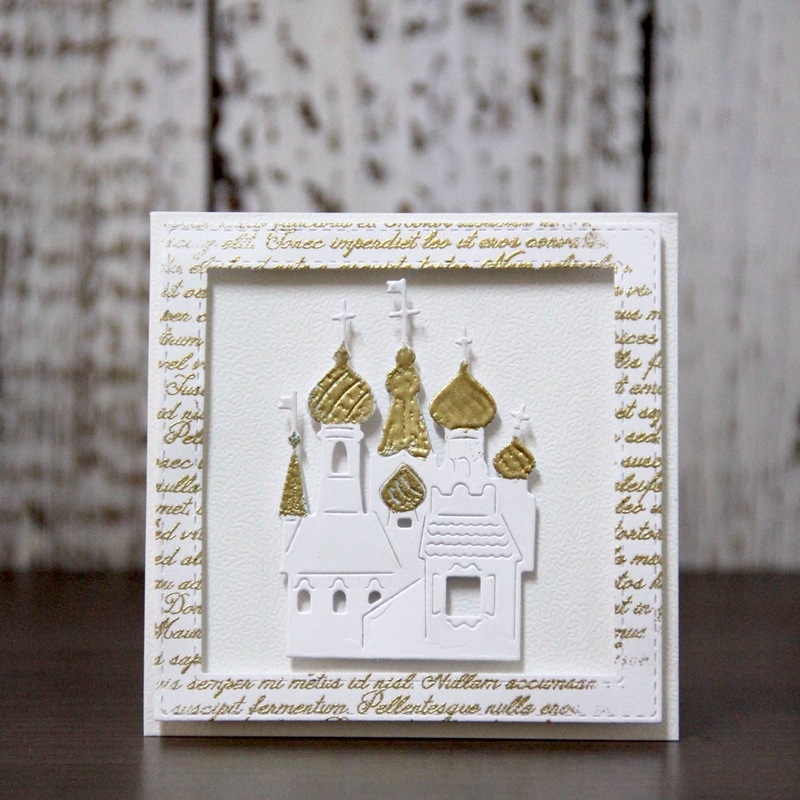 For my first card (it is a mini card) I used the new St.Basil Cathedral die and the Handwritten background stamp. All gold details are made with Versa mark ink, a Versa mark embossing pen, and gold embossing powder. To make the frame I used the Stitched Square Frames. For my second card I used the square left from cutting the frame of my first card for the background. From white paper I die cut Russian Nesting Dolls. I have to say that these dolls are really unique. All dies are very intricate but I wanted to stay in the gold and white combination so I left them white. Sometimes when I find a look I like for a card I use the basic layout of the card front but change up the kind of card by using different popup mechanisms on the inside of the card. This card is one I made for my brother and his wife, but I also thought I would share it with you! All of the diecuts used to decorate the front of this card make it look very similar to the slider card made with the largest of the lift-flaps that I also recently shared. I again used a Copic-colored Sweet Holly Snowman on a snow-covered Stiched Scene-builder Edger hill, along with the Joy from the Slender Peace and Joy set. I think it is a sweet card, but what makes it truly special is the inside! 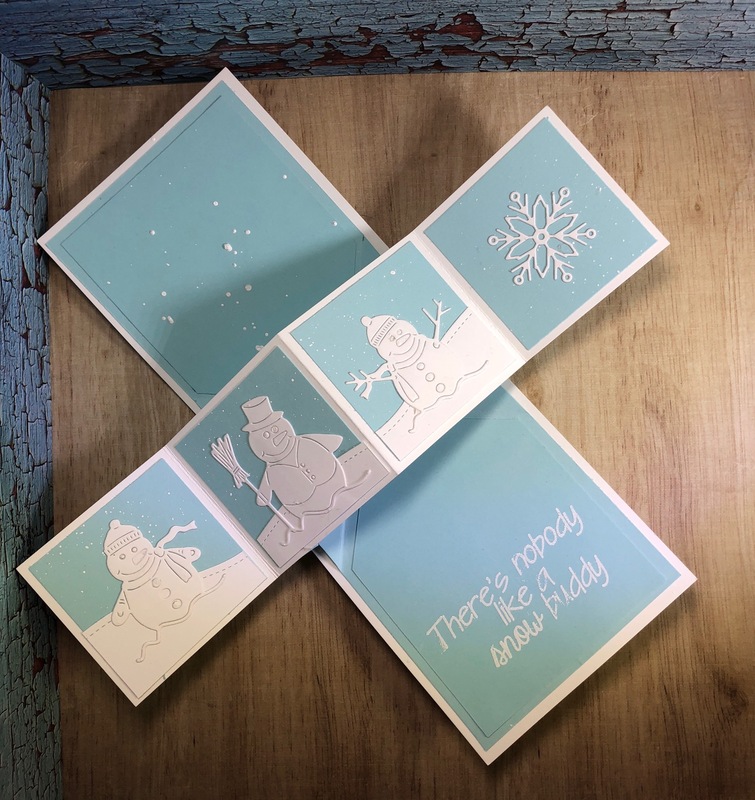 This is a twisting popup card that I decorated with more Frantic Stamper snowmen, a snowflake, and a stamped and heat embossed snowbuddy sentiment. I didn’t just want to share the photos of the card, though. I also want to share how to make and decorate the Twisting Popup Mechanism. So...here we go! Score full size sheet at 5 1/2” in landscape orientation. Cut off 1/8” from each end, making the piece 8 1/2”x10 3/4”. Score at 2 1/4”, 4 1/4”, and 6 1/4” in portrait orientation. Fold on 5 3/8” score line. Reinforce the fold with bone folder. Mark 1” from the fold on both edges. Mark 1 1/4” from the fold on the first score line from each edge. Draw a line from the 1” mark to the 1.25” mark on both sides. Cut away the piece formed by the drawn line and the score, from edge to edge. Open the mechanism. Make sure it is in portrait orientation. Mark 2” from horizontal center fold to each vertical edge of the mechanism. 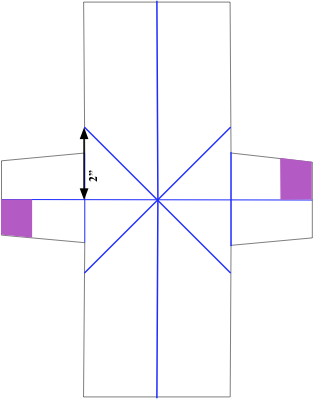 Score diagonally across the center of the mechanism, from mark to mark. Fold on both scores and reinforce the fold with bone folder. Squash fold the mechanism so the wings are inside the mechanism, and the mechanism resembles a pocket. Cut two pieces 3 3/4”x5 1/2”. Mark the center of each piece in portrait orientation, then mark 1 7/8” from the top on each edge. 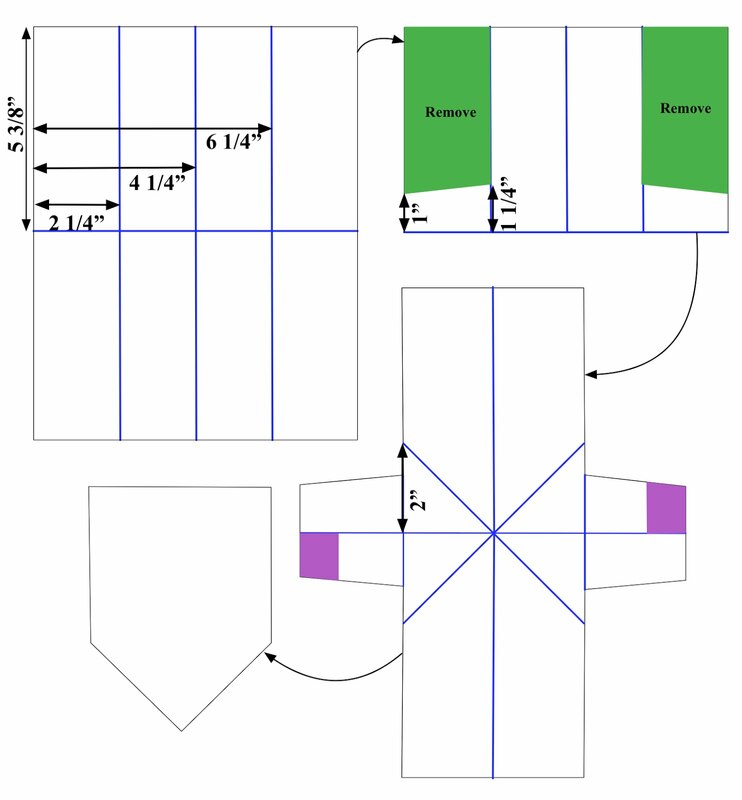 Cut diagonally from edge mark to center mark on both sides. Trim bottom to be 1/8” from bottom of mechanism. Attach mechanism in a top fold card, 5.5” tall x 4.25” wide, making sure the mechanism is strait and the point is in the fold. In landscape orientation score at 2 3/4”, 5 1/2”, and 8.25”. Accordion fold the piece; valley, mountain, valley. Put strong adhesive on the lower left and upper right outside edge of the mechanism. Place the folded accordion panels centered on the lower edge of the mechanism, folds at the top. Close the card carefully to ensure the adhesive on the top right does not touch the accordion panels. Open the card. Close the card again, pulling the folded accordion panels to be on top of the right side of the mechanism. Cut four pieces of the decorative paper to 2 1/2” square and affix to each of the four panes of the accordion panels. Decorate with stamped images or die cuts. So now that you have learned how to make the mechanism, I hope you will make a twisting popup card of your own! 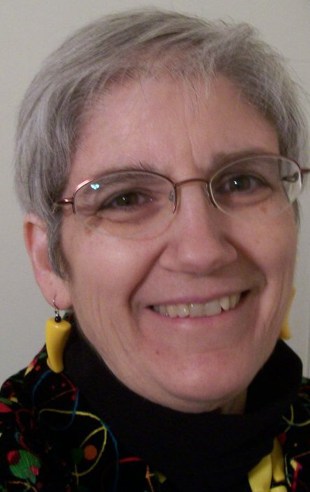 Feel free to share a link with the inlinkz button below. When I designed the lift flap dies, I thought knew they would be terrific for hiding elements on a card, but I also thought that they might be able to be used in other ways, too. This slider mechanism is the first different way I have thought of to use the largest flap. All I needed to do was to add a couple of scores and an inside sliding panel, and the card nearly made itself! assorted pieces of paper or cardstock to decorate the card. Here are my step-by-step instructions for the sliding mechanism. 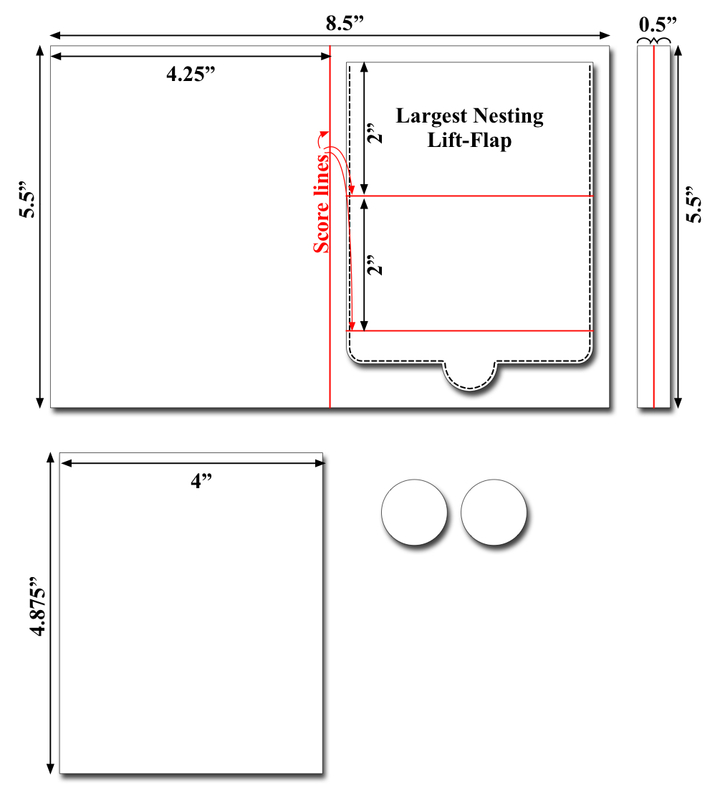 Score the 8.5”x5.5” piece of card stock at 4.25”, as though to form a standard A2 card. Do not fold on the score yet. Using a light tack tape, tape the largest lift flap centered on the right side of the score, 0.25” from the right edge, and run through your die-cutting machine. Reinforce the top score line produced by the die, and score across the flap, 2” down from that score line, and again at 4” from it. Fold on the score lines so the top and bottom folds are valleys and the center fold is a mountain. Now fold the card on the center crease. 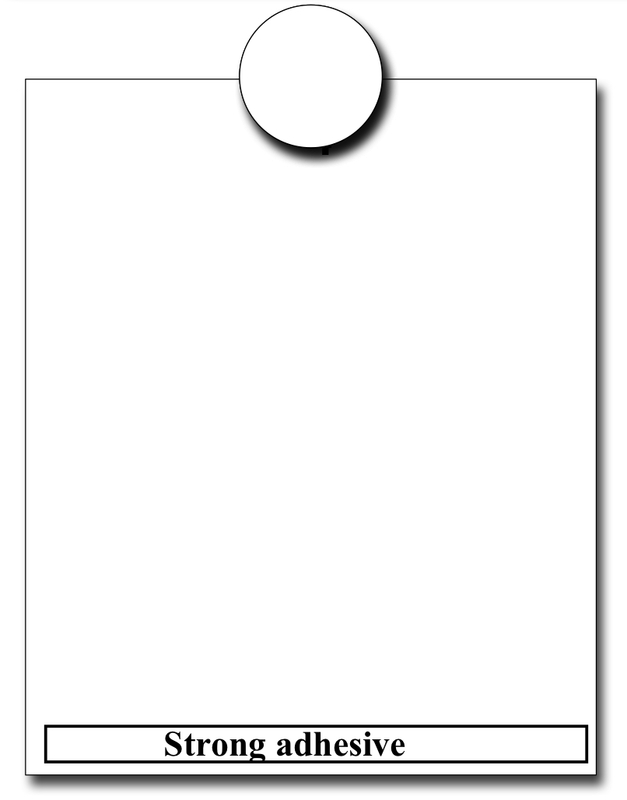 Score the 0.5”x5.5” piece of cardstock along its entire 5.5” length, 0.25” from its edge. This will form a gutter for the sliding mechanism to slide in. Fold on the score line and crease well. Using strong tape adhesive, afix the gutter strip to the inside of the card both front and back, with the fold of the gutter on the front and back edges of the card. Using strong liquid glue attach the two circles to the top center of the 4”x4 7/8” piece of card stock, one on the card front, one on the card back, with both of them hanging over the edge by half, to form a pull tab. Slide this piece of cardstock into the sleeve formed when you adhered the gutter to the card front and back. Lift the lift-flap temporarily back, exposing the piece of cardstock you just inserted. It acts as the slider part of the mechanism, as well as the pull-tab. Add strong tape adhesive to the bottom edge of the slider then fold the lift-flap back down, being careful to be sure the slider aligns with the bottom straight edge of the lift-flap and then press down to adhere. Test the mechanism by pulling the slider mechanism up at the top of the sleeve. 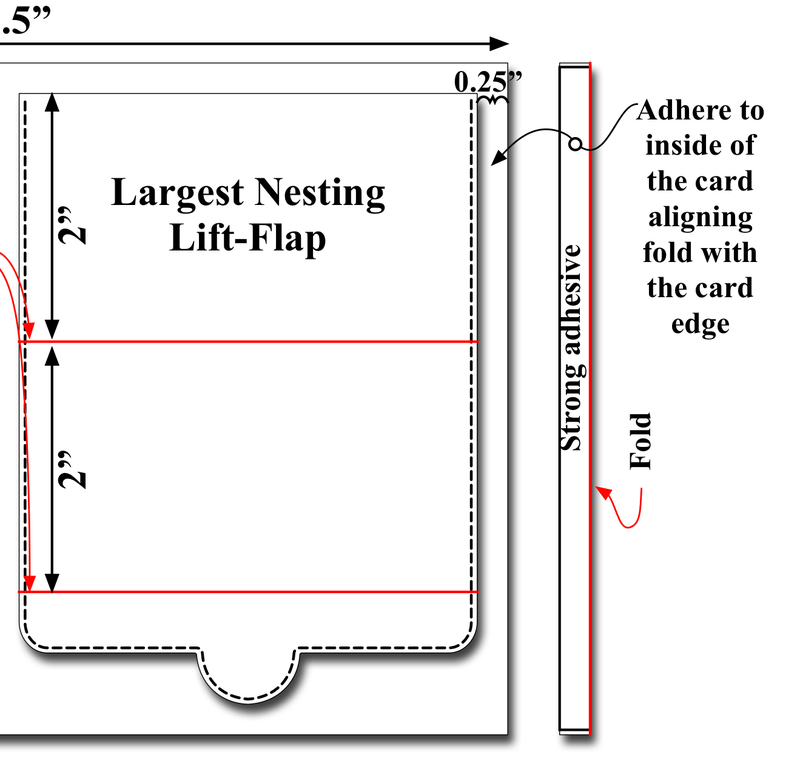 The mechanism should fold at the scores, causing the fornt of the card to tent uoward. 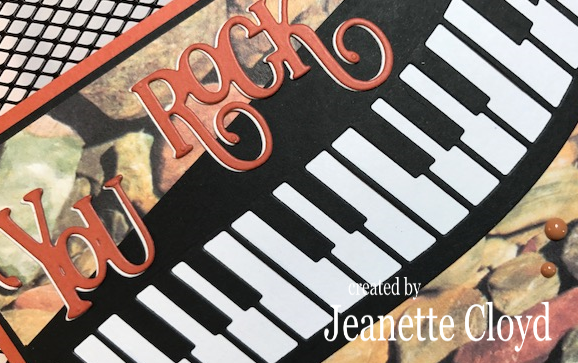 Decorate card as desired, making sure to cut a layer to attach to the bottom portion of the slider, but NOT to the top portion! Stamp a sentiment or decorative image in the secret spots revealed when the slider is pulled, and on the top portion of the slider itself. Here is the information for my decorative pieces on this card. Sweet Holly Snowman cut from white cardstock and colored with Copic markers. I hope you will give this kind of card a try! It is really very easy to make and a lot of fun to give! This new release is available for sale at www.FranticStamper.com now! We want to thank our 2017 Design Team and guest designers for all of their work for us this past year. We have enjoyed working with them all, and are grateful for the beautiful cards we have featured each month in our video slideshows. We look foward to the year ahead and working with these wonderful designers. We know you will continue to enjoy our monthly releases and the artwork that these talented designers will create!